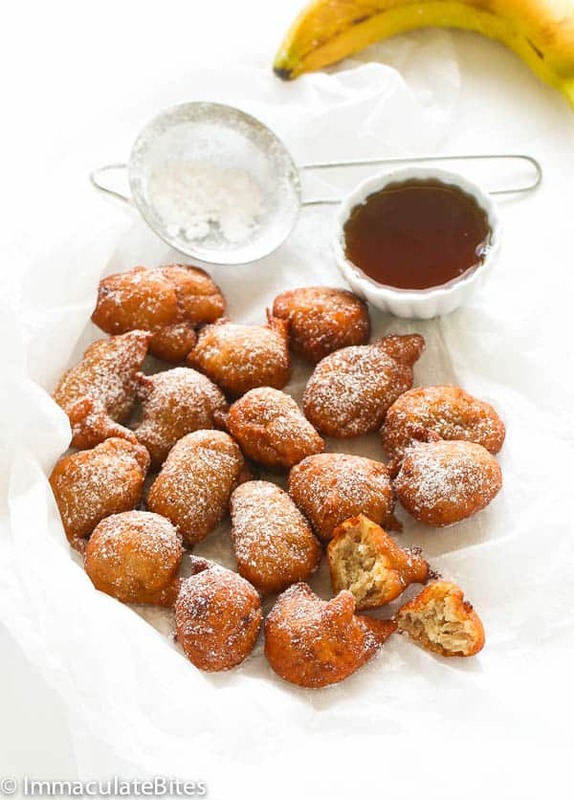 Banana fritters is a popular African Snack or breakfast food but it’s well loved in the Caribbean’s too! With each household having their own variation . Some are made with milk and/or eggs , while others are not. These here are completely Vegan without eggs or milk. Yet taste just as good. Am not going to lie, making these, were purely selfish on my part, it’s been a while…. 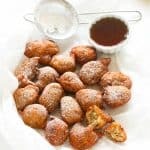 Ever since I was a teenager, these fritters have been a favorite of mine, I can whip them up in my sleep, tried them so many ways and have never thrown a batch till date- Just Heart them!!!! Anytime food if you ask me. Out of curiosity , I used half wheat flour and white flour (all purpose) to see what would happen and it worked beautifully. Although, I love the nutty flavor from whole wheat flour, it’s just too overwhelming sometimes . All purpose flour balances it out leaving a slight nutty taste. Now here are some few tips to help you decide which route to take. Key factor here is the oil temperature, too low and is going to soak up a lot of oil, so make sure it is warm enough, I always do a taste test first before proceeding with the rest of the batter. 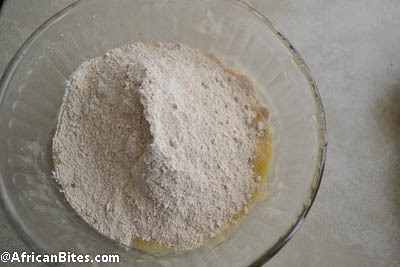 If you want super light dough you can start with 1 1/2-cup flour and add more as needed. 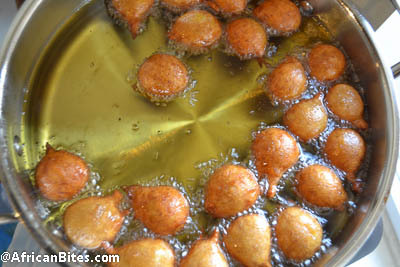 Since the batter is somewhat light the fritters will be varied in size and shape. 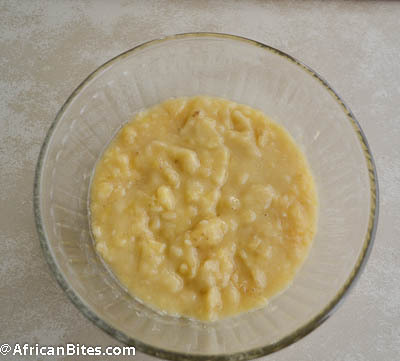 Mash bananas with spoon or puree bananas in food processor or blender. In a medium bowl mix together mashed bananas, flour, sugar, baking powder and salt .Mix well to the consistency of a creamy batter. Using a slotted spoon, remove the fritters and place them on paper towels. 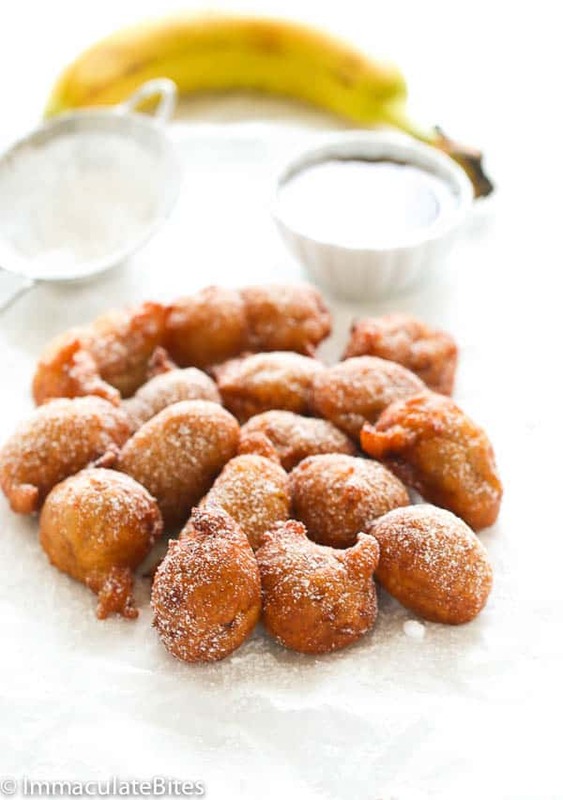 Make these melt in your mouth Vegan Caribbean Banana Fritters. And watch it disappear! Simple and Delicious! Quick easy and delicious, especially when looking for no egg alternative. Thanks for the share. Everyone at my house loved tem. Yum! I just finished making these and they are delicious! I cut down the recipe slightly for 3 bananas and I got exactly 15 tablespoon sized fritters. They’re light and fluffy and perfectly sweet. This one’s a keeper—thanks! Your welcome. Happy to hear it worked out well for you. I love this…I frequently have overripe bananas (my DH likes them practically still green) and one can only eat so much banana bread (although they also make good additions to smoothies). I also make doughnuts on a semi-regular basis so these wouldn’t be too far of a reach. 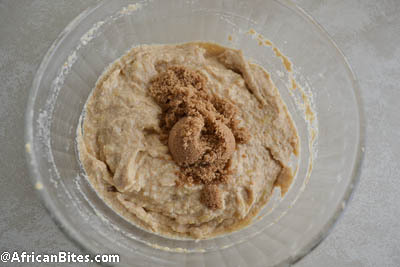 As for whole-wheat flour (and I didn’t look to see if others commented on this), have you tried white wheat? It’s a non-GMO variation of whole wheat that tastes much milder, with the same nutritional benefits. I grind my own but King Arthur sells it pre-milled (which was how I started off with it). I use whole-grain flour exclusively in baking and this is my go-to grain, although spelt works nicely in things that don’t have to rise too much (e.g., pancakes, cookies). I’ll be keeping this recipe in mind for the next time I have a surplus of bananas! Thanks for that recommendation, Terry. Got to check that white wheat. This recipe is a staple at my house. I’ve tried several, but this is the best! Thank you! Made these a while ago amd my hubby still raves about them. They are best served fried and when they first come out (my opinion). I also tried them baked but i did not like them. Too dense/doughy. Fried = def the way to go. Hi saleha! Yes, the oil shouldn’t smoke. It’s going to brown quickly and not cook evenly. this recipe reminds me of back home SEYCHELLES. we love making it and is a famous treat in every snack shop. we love it baked as much as fried, but i think most people like it baked to avoid the excess oil. YES YOU CAN BAKED these goodies using the same recipe given. i have tried and it turned out GREAT! my husband and kids devoured all before i got to enjoy it! AWESOME! Thanks for the feedback am sure other readers would definitely benefit from this feedback . So glad they can be baked. 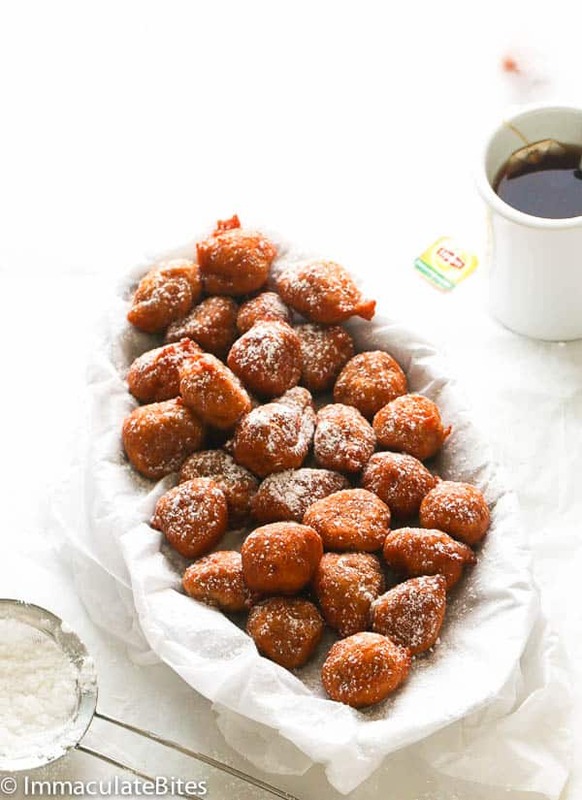 What temperature and how long did you bake the fritters? These look amazing! Can’t wait to make them!! Thanks ! let me know how it works for you. Deep frying makes such a mess…anyone ever try to bake em? I might try it this week. If I do I’ll let ya know. Try them fried they were so good. They did not last long at my home. I fried mine in a medium pot. The oil only covered them half way. It did not make much of a mess. The only this is I had to fry them in smaller batches. It was worth it. 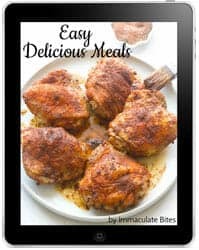 My son and I cannot have gluten, do you think this recipe would work using GF all purpose flour and subbing in sorghum flour in place of the whole wheat? The little man is about as nuts for bananas as the Dispicable Me minons, so I think he would love these! I don’t see why not. Give it a try and let me know how it works out for you. Thanks Miririah. The only difference is in most household here they don’t use banana just use plain wheat flour and sugar. I know right? There are so many varieties out there, I just love them all.I think most regions have some sort of banana fritter. I have tried a few and what I notice is that the fundamentals are all the same. Can’t resist them! Neha! Thank you so much for taking the time to share your thoughts with us. sooo delicious! I am pretty sure these would make a perfect snack to prepare with kids. And I am pretty sure kids will love those because they are sooo yummy!!! Thank you so much Abida! These look amazing. We have a similar dish in South Indian cuisine as well,. We use jaggery and cardamom powder and I love those. So sure that these will be an instant hit with my family too. Those look fantastic! 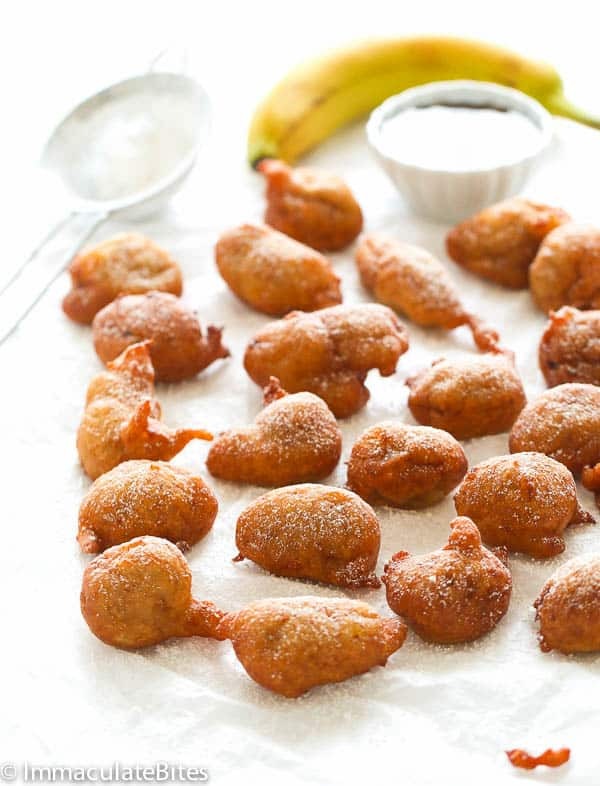 I’ve tried a few kinds of Caribbean fritters before but never had banana ones. I’m sure my daughter would love these for breakfast too. Yum! These look amazing. I have to make them this weekend. 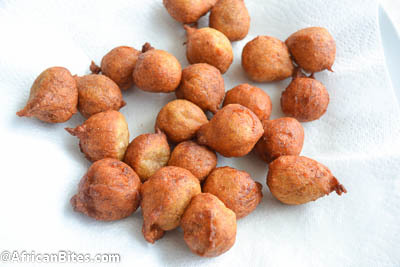 In Sierra Leone we call the akara and they are one of my favourite breakfast foods ever. These look awesome! Can’t wait to try them out! Thanks Trey! Do let me know how it works out for you! I made them and added cinnamon!! To die for! Thanks for taking the time to share your feedback, Miriam!